Before I began preparing for a two-week study abroad program in Peru, I had never heard of the organization Pack for a Purpose. However, I was more than happy to find some room in my already full suitcase after learning a little about the program from my study abroad instructor. Pack for a Purpose works with communities around the world to provide a few key items needed for those communities to succeed. These items include anything from hygiene products to children’s books and are meant to take up minimal space in a traveler’s suitcase. 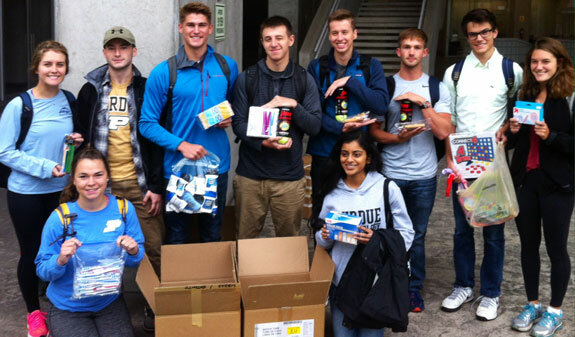 The group of 26 Purdue freshmen I traveled with donated our items to Paz y Esperanza, a shelter for abused women and children. Of the various toys, learning tools, and hygiene products on the list, I volunteered to take puzzles, children and adult multivitamins, and small stuffed animals. Like most of the items listed on the website, I had the puzzles and the stuffed animals just taking up space around my house. Between the 26 of us in the class, I believe we covered everything on the list pretty effectively, and I was amazed by my new classmates’ generosity. A few girls brought gallon sized bags full of deodorant sticks and had to explain themselves to airport security. Another student donated quite a few bulky tubes of tennis balls. 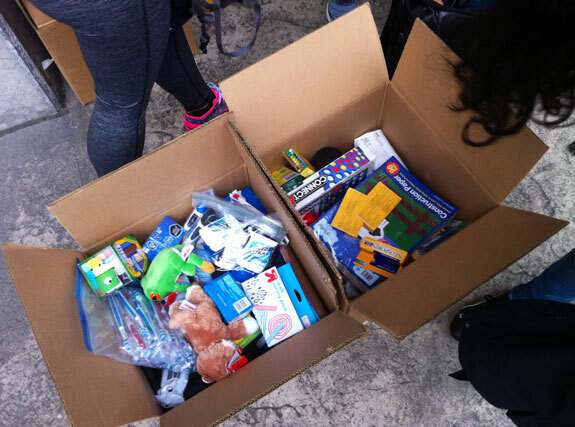 Recorders, construction paper, tooth brushes, and many other items quickly filled cardboard boxes that would be sent to Paz y Esperanza. All together I believe we donated around 25 lbs. of items to women and children in need while still having room for all the essentials in our own suitcases. Serving over 60 countries, Pack for a Purpose is a great organization to keep in mind when planning future vacations or even study abroad programs like the one I participated in. Setting aside just 5 lbs. of suitcase space not only guarantees room for souvenirs on the way home, but also provides a simple and unique way to give back to the communities in the area being traveled to.